Getting THE picture for this year's Christmas card was particularly difficult. All the kids seem to be going in different directions for practices, playdates, etc. And when we are all together we are usually busy playing or we are exhausted. But last night, before I dragged all the kids to my oldest's baseball practice I said, "Hey guys! Let's sit in front of the Christmas tree and take a picture!" Some of the kids weren't so thrilled with the idea. I am all for keeping it real, but come on. It was not looking good. They were cranky, restless, there was hair pulling and just a little bit of crying. But then the baby Wade let out a surprising man-sized burp and the crowd went crazy. And I was ready with the camera. Merry Christmas 2011 from The Youngbloods. Even though I know it is a generic card sent out to people who donated any amount of money to the campaign, I don't care. I adore my Christmas card from the White House. I feel important. Look how cute Bo's paw print is....that's his real paw print, right? 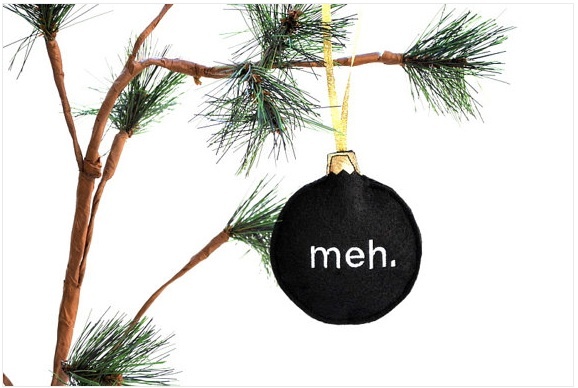 This ornament describes how I have been feeling lately. And now it just makes me laugh. Click here for more info on the hilarious decoration. 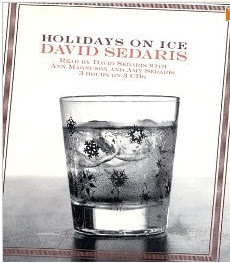 David Sedaris, ahhh, David Sedaris' book Holidays on Ice. This is the perfect holiday treat, especially if you get the audio book and have David himself read his stories to you. Dark, twisty and really funny. I love this. But just a warning, not something the kids will enjoy or should even be within earshot. And just to bring it back to Christmas cuteness, here is my JT singing, well sort of singing. This is definitely one of my holiday favorites. Wonderful! Wonderful! The photos are genuine. These kids are beautiful and so is their mom.